What if you could do the work you LOVE, on the schedule that works for YOU, while being your own boss AND working from anywhere you can take your laptop to? You can finally make that dream a reality! 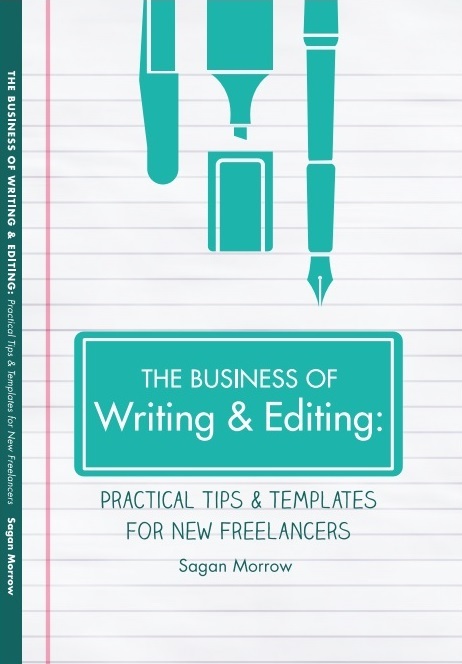 The Business of Writing & Editing: Practical Tips & Templates for New Freelancers provides concrete ideas for how to make the transition from a 9---5 job to a flourishing freelancing business. 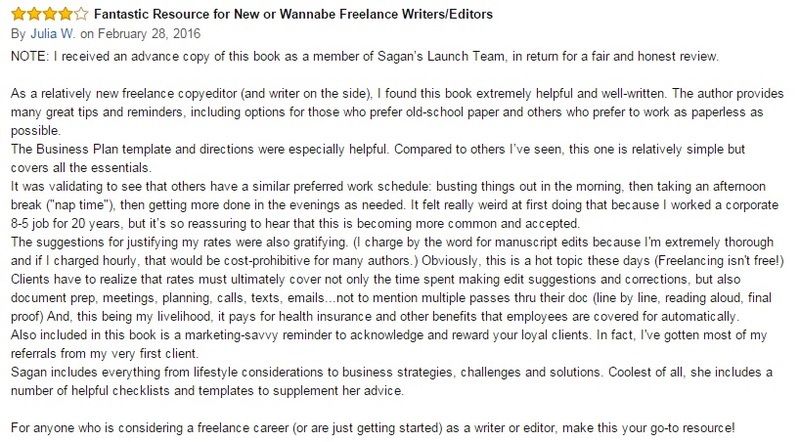 This book is for YOU if you are a new freelancer, if you like the idea of writing for a living but don't know how to do it, if you wish you could work from home, if you want to learn how to FINALLY be your own boss, or if you have any questions about being a freelancer or small business owner. - Practical tips to help you with your new business and your new lifestyle. - Personal anecdotes for what works (and what doesn't) as a home-based small business owner. - Ideas for networking, marketing your business, and how to thrive with your home office. - The exact strategy I used on LinkedIn that resulted in getting contacted by headhunters. - Actual real-life rates for freelancers and suggestions for how to price your services. - Templates you can start using right away for your freelancing business (including an editing checklist, a business plan template, a sample invoice and more!). - Answers to some important questions you might not have considered about being a freelancer. - A step-by-step guide for finding clients, managing slow and busy times, and how to succeed as a new business owner. The book is on sale now! Click here to buy it. "Great advice! I wouldn't have thought of so many of these things." "The day in the life examples and your business plan template were especially helpful." "I like that you use real-life examples from your personal experience amidst all the tips and lists." "Thank you for your clear advice and great parameters for thorny issues like finances and setting rates!" "I've finished your book [and] found it extremely helpful and well-written! You provide many great tips and reminders." "The continual references throughout the book to the appendices were handy." "I really liked Chapter 3. It had lots of current, valuable tips on using social media, as well as for in-person networking events." Want to know EXACTLY what you're getting with this book? Chapter 5: So You've Launched Your Business: Now What? 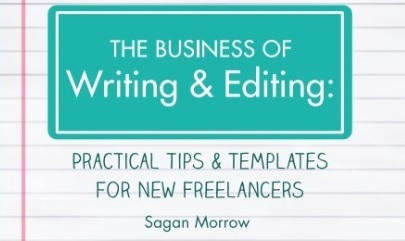 Contact the author at hello@saganmorrow.com with any questions or comments.